Jack and August are best friends, but they're also more than that. Jack once saved August's life. Now it's Jack who needs to be saved, but his situation is incredibly complicated. Jack has hallucinations and a fantasy kingdom becomes part of his everyday world. It's difficult for him to know the difference between what others are experiencing and what he alone sees. Jack's parents are never there and August also doesn't have a stable home situation, so they're on their own. August is responsible for his friend's wellbeing and deals with it by trying to make Jack's world become reality. They go on an adventure, but what they're coping with together is bound to spiral out of control and when it does it will have grave consequences. August and Jack only have each other to fall back on. August has to make sure there's enough money to pay the basics at home, which doesn't give him the opportunity to have a rich social life. Jack used to be a talented rugby player, but his hallucinations are standing in his way. There are few people who know what the two friends, who might feel more for each other than just friendship, are dealing with, nobody is close enough to them to figure it out. Their sanity is at stake, what will happen when matters come to an inevitable peak, can they handle the aftermath and will their love and friendship survive? The Wicker King is a beautiful heartbreaking story. August and Jack have a deep complex bond. There's mutual understanding, unequal friendship and unconditional love. They find themselves in a situation they're too young and inexperienced for to deal with, but they only have each other, so they're finding their way, even if it isn't the most healthy or right one. 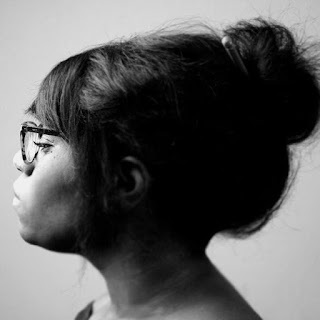 I was impressed by how K. Ancrum describes their struggles, she does this with so much understanding and insight. I loved the special connection Jack and August have. It's pure, twisted and painful, but it's also precious and promising. There are many contrasts in this book, the real world versus Jack's fantasy world is another one I absolutely loved. K. Ancrum makes it come to life in a fantastic emphatic way that greatly moved and impressed me. The Wicker King is a brilliant book. I can't praise this story enough. It has so many gorgeous emotional layers, the love K. Ancrum writes about is unconditional and profound. She's written a thought-provoking story that's compelling, poignant and innovative. The artwork that accompanies the story makes it come to life in a great vibrant way. There are drawings, documents and maps for example that are giving the story so much extra detail. The Wicker King is dynamic, filled with restless energy, raw, tragic, hopeful, delicate and incredibly alluring. I highly recommend this mindblowing story. 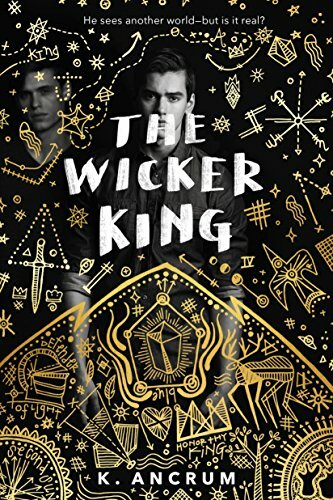 If you love beautiful emotional stories about teenagers dealing with what life brings them the best they can, The Wicker King is an absolute must-read. August and Jack are different, but they are friends. August is a misfit and Jack is popular, Jack is rich and August is poor, August can easily run a household and Jack is clueless about everyday tasks, but they have an unbreakable connection. They complement each other and that is what Jack needs when he starts losing his grip on reality more and more. Jack tries to show August the fantasy world he sees. They're having a hard time staying on the right track, maintaining their sanity. There's a prophecy Jack needs to fulfill, is it a good idea to actually chase it and what will happen when they give it a try? The Legend of the Golden Raven is a short companion novella to The Wicker King. It gives some more insight into Jack's world. It was really interesting to read about Jack and August from a different perspective. The world Jack is living in because of his hallucinations is detailed and realistically portrayed, which makes it come to life in a beautiful way. I was impressed by the amazing way the stories complement each other. K. Ancrum has written a beautiful heart-rending story filled with love, pain, hope and friendship. I loved how complex the relationship between Jack and August is and The Legend of the Golden Raven shows a new side of their already multifaceted bond. 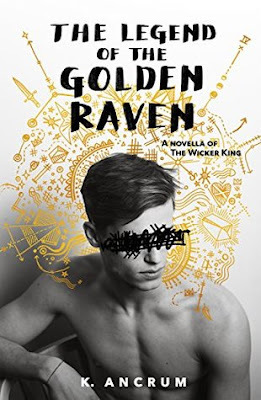 I loved reading this impressive novella, it's a part of The Wicker King story I wouldn't have wanted to miss. The Legend of the Golden Raven should be read after The Wicker King. I wouldn't advise you to read it as a standalone, but it's a fantastic addition to a beautiful story. I highly recommend you to read both. 2) August and Jack have a complex relationship, can you tell a bit more about it? The Wicker King is a friends to love romance. However, August and Jack’s friendship is unhealthy and co-dependent because both boys are being neglected by their families. That neglect leads them to rely on each other in increasingly desperate ways until it begins to cause problems. Additionally, Jack is attracted to August while August struggles with identifying his romantic orientation. Over time, these facets of their relationship grow and change until they are left in the shattered remains of their lives and the only thing left between them is an understanding that at the end of the day, the one thing that has remained pure and strong between them, is mutual love and care. 3) Your story is about neglect, illness and disbalance, what inspired you to write about these topics and how do you prepare to write the difficult scenes? I wrote about these topics because they are very personal to me and I believe that youth who deal with these issues need to see a thoughtful representation of them in media. In order to make sure that I was writing thoughtfully and accurately, I prepared to write these scenes by doing intensive research. I spent months studying and having interviews with psychologists so that I could make sure that my portrayal was accurate---not just to the problems presented, but also to the time period that it was written. 4) What does true friendship mean to you? Friendship is about equality, respect, support, selflessness and empathy. Friendships with disparate power structures can be manipulative, friendships without mutual respect are self-serving. Friendships without mutual support don’t offer either person any refuge, Friendships built on selfishness aren’t enriching and friendships without shared empathy causes damage to both participants. Friendships come in different levels of course and no one should be expected to maintain these with all their friends at all times. But lasting bonds tend to feature these qualities and they are important. 5) You’ve written a beautiful letter at the end of your story, what advice would you give teenagers in a similar situation? Thank you! I tried to say what I wished someone had said to me and my friends when we were all struggling. I think that if you notice that a friend is struggling with mental illness you can do any of the things the friends in The Wicker King did. You should ask them if they are okay (Peter and Roger), offer them resources if you can find any (Peter and Roger), check up on them every so often even if it's just something small like a text (Peter and Roger). If you have the time and resource, offer them a safe space to talk about their feelings (Rina), Try to still have fun with them even though they’re struggling (Gordie), If you can’t do anything to really help, doing things to make them happy really helps too (Alex). If you yourself are struggling with mental illness, reaching out and finding help is very important. Its very scary sometimes and adults around you may not always leap to help you unprompted. But, the faster you’re able to get help, the better off things will be. If the people around you are failing you, reaching out to healthcare professionals on the internet or over the phone can help as well. In the back of The Wicker King there are some crisis resource contacts in case any readers need immediate help. 6) You write about a love that becomes twisted but is beautiful at the same time, how did you find the balance between this? It was easier than it sounds! At the center of the book there is a singular description of love and I just stayed consistent to it. To August and Jack, love is shown through expressing care. August feels loved by his absentee mother because she shows that she loves him by care (teaching him to cook, brushing and cutting his hair, etc) and he understands the effort it takes for her. August then expresses his love for Jack by caring for him. Jack shows his love for August by accepting that care and providing care for August when August gets tired. Rina melts August’s heart by being the only girl in the book to show him love through care, and then captures August’s heart for good by showing care to Jack. Jack falls for Rina because she reminds him of the care he receives from August and is excited by August also being cared for by her. The only thing that “twists” is the type of care being provided between August and Jack. Touch starved, exhausted from being in control, overburdened with responsibilities, August craves being touched roughly and gently dominated. Physically and psycho-socially deteriorating, Jack provides these releases to August which gives them both the strength to continue their journey for better or worse. This is why, when all is solved and the burdens they were holding are removed, what is left is still that care. That desire to care--which can now be used to heal---and along with it, a fierce and enduring love. 7) Jack is suffering from hallucinations, how did you handle the research for this and was it hard to write these scenes? 8) You write about teenagers with many problems, what’s the inspiration behind it? Teenagers have a lot of problems! I wanted my first book to be impactful and supportive—particularly if it was to be the only book I’d succeed at getting published (which is what I thought while I was writing it). I wanted to showcase a scenario where teenagers are shown to be supportive and strong and trying their hardest even if things were still not going very well. I think that when given difficult situations, teenagers tend to be that way. Whenever bad things would happen when I was a teenager, the first people to jump to help were fellow teenagers—even if that help wasn’t ultimately the best solution. I wanted to respect that aspect of teenagers because I feel like it deserves to be elevated. 9) You support fellow authors, what’s the first advice you usually give an inspiring author? Don’t be the first person to reject yourself. So many writers I wrote alongside while working on The Wicker King kept telling themselves that there was no way they’d ever manage to get published and to this day, none of them have. Even when I was querying I would get hate mail on tumblr for “putting my work out there even though it wasn’t the best” and it still isn’t the best! But I didn’t let that stop me from putting my work in front of professional people who could reject me…and through rejecting me, teach me how to better provide what publishers wanted. If I had told myself that I shouldn’t even try because I wasn’t “good enough” I wouldn’t have been able to grow. I have 5 new books that I’m working on currently. 4 are set in the same town as The Wicker King and 1 is unrelated. My newest book will be published March of 2019 and it’s about two girls who love space! It's called The Weight of the Stars. https://www.goodreads.com/book/show/36952571-the-weight-of-the-stars. One very lucky reader of With Love for Books will receive a signed hardcover copy of The Wicker King and a handwritten author's note. One runner up will win a signed hardcover copy of The Wicker King. These sound like excellent portraits of friendship and romance! Both books sound like beautiful, emotional, powerful stories about love, friendship, neglect and co-dependency that will resonate with you long after you've put them down. I love the idea of a handwritten note from you, that makes this contest even more special. :-) These books sound like there is a great depth to them and they would make very interesting reading. I’ve heard awesome things about the Wicker King! Fingers crossed!! I'm so excited this book is getting more attention! I absolutely loved it! this would be one of my to read books for sure - sounds right up my alley! This book sounds amazing!!! I'm enticed by anything emotional and mystical. I just added it to my list of books to read. I've read The Wicker King, and it is honestly one of my all time favorite books! I adored how raw and emotional it was, and how accurately things were portrayed. Never stop writing!!! Great interview! I absolutely loved The Wicker King. I can't wait for more books by K. Ancrum! Great review - would love to read this book by Kayla Ancrum! 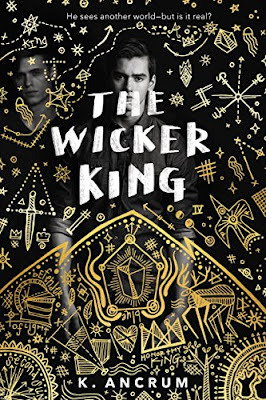 I read an ARC of The Wicker King and it was amazing!!! I can't wait to get my hands on a finished copy. What you said about teenagers is so true and I cannot wait to read The Wicker King! understand such specific about my trouble. You are incredible! I know I won't be able to put this book down! I love the cover art too. I really want to read this, thank you. I was lucky to read an ARC of this, but I'd love a finished copy. It's so good. And what a fab interview! I love the compliments between the characters. Sounds like a fantastic read. The blurb is a fantasy! I really like it and I can not wait to read it. This sounds so interesting, and very emotional. Great review! I love what you said about teenagers supporting each other, such a great messsage. I like that you write a story where the teens are helpful & supportive of each other. Fantasy, friendship and romance - what more could you ask for? Sounds a great read. I would envy a friend like that. My shihtzu is my best friend. Well done Ms. Ancrum! You have risen above self-doubt, criticism and actual hate mail to prove you can and will succeed. I wish you all the best for the future.